Performance TV focuses on innovations within the automotive industry, showcasing new products and techniques for enhancing vehicles. A segment on this episode features a 2,600-pound Hurricane 427 Roadster with a 351 Windsor engine stroked to 427. John McLaughlin Jr. from McLaughlin Family Companies will be doing a walk-around of the 570-horsepower car with host Joe Castello, while Hurricane’s Project Line Manager Alec Daniel went on a ride-along. The segment will also discuss how to order a Roadster, and the extensive features that come standard with Hurricane Motorsports’ kits. After visiting with Velocity network representatives at this year’s Specialty Equipment Market Association (SEMA) Show, Hurricane’s management was pleasantly surprised to hear back a few weeks later. The episode first airs on the Velocity network at 9:30 a.m. EST on May 5, subsequently showing on MAV TV June 1 (9:30 a.m. and 4:00 p.m EST) and Rev’n on May 22 (7:00 p.m EST), May 26 and May 27 (1:00 p.m. EST). I DVR'd the program and watched it last night. A really good segment. I think it showcased the Hurricane very well. I lean toward originality so I personally didn't care for the wheels, CF dash and white gauges on that Hurricane, but I think it is smart for Hurricane to show a car that has some modern touches. 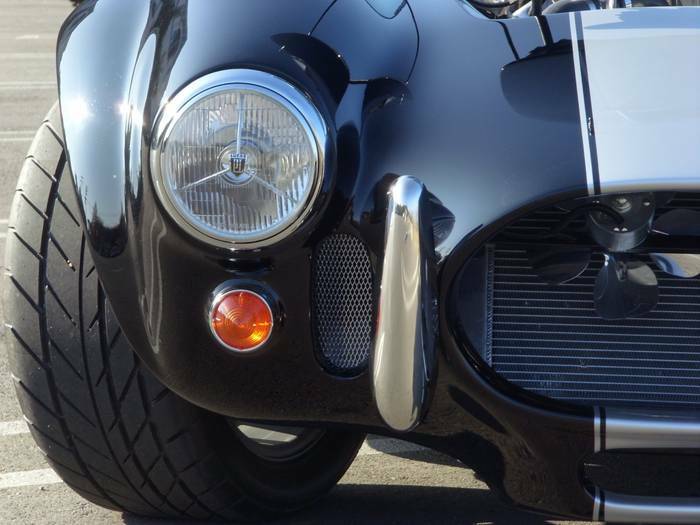 I think it is somewhat a generational thing - baby boomers like the original cobras as they knew and saw them back in the day, and younger generations want something a bit edgier and less traditional. John McLaughlin did a great job. I'm a little confused. Nothing new here.... I was going to record it Sat., but realized that today was May 8 and not Sat. and since MFEIII has already recorded it I'm out of luck. Does anybody know if it will be repeated? Sam it will also air on MAV TV June 1st at 9:30am and 4pm EST. On Rev'n on May 22 at 7pm EST, May 26th and 27th at 1pm EST. Thanks. I'm on cable and I don't get MAV TV. What is the other one (Rev'n). I don't recognize it. It's on Velocity if you get that. someone who DVR'd may be able to give the episode number. All was a day late and a dollar short, sounds like it was an interesting clip. I too missed the episode. If anyone knows the episode number I will be sure to keep my eyes open for it. I thought it was a very good showcase of Hurricane Motorsports as well, good visibility. I'm agree with MFE, i'm more interested in originality, period correctness. But a factor here is you can build whatever YOU want. Hurricane will work with you any way you want. They are catering to the younger generation now in offering a Coyote engine option, which IMO is a very smart move. Backdraft sells a lot of cars in that configuration. I think it would be wise to showcase different configurations - like Dean Lampe's HM2002, the first 2nd gen customer car built VERY period correct (which is now in Spain), a "budget" build with 302 or 351W and solid axle, and a modern Coyote build with 18" wheels and all the "bling". I suggested this very thing a few weeks ago to the folks at Hurricane Motorsports. I see they have old episode's did anyone note what episode # the show was? What is Rev'n? A show, a network, ?? Bob, thanks for sharing. I could never find the show in the 1000's of channels on my cable TV. Hard to believe. Thanks again.